A mixture of triple washed sand and slaked lime with pozzuolanic additive. 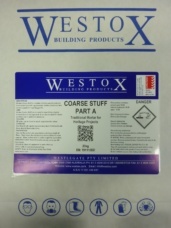 Used for repointing, laying brickwork and stone in heritage work or as a render and float coat. 20kg repoints approximately 4m2 of brickwork at 25mm x 10mm joints. Available Part A – 20kg & Part B – 1kg.